My niece (Ben’s brother’s daughter) picked me up for shopping and dinner on a Friday evening. We went to IOI mall but did not manage to buy anything. She showed me the restaurant that she is going to have her wedding dinner in March which is in IOI mall. We had a light snack at this Sisters Crispy Popiah stall in the mall. 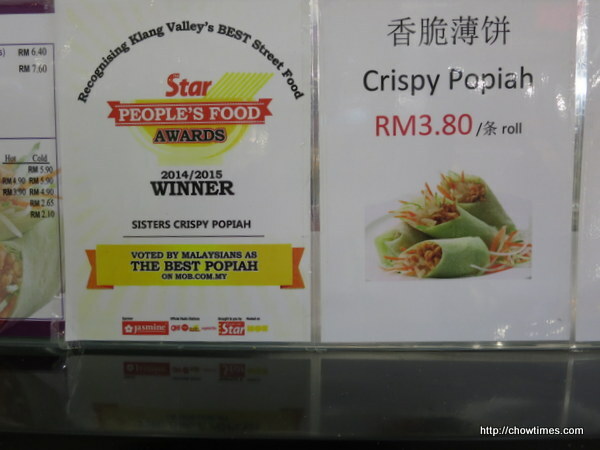 It was voted the best popiah by Star People’s Food in 2014/2015. 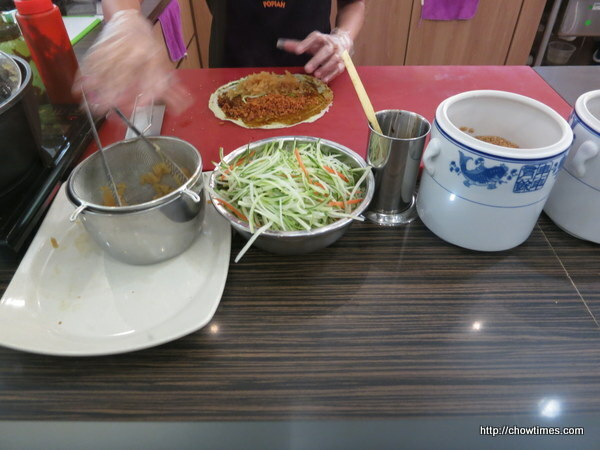 We had a regular popiah. 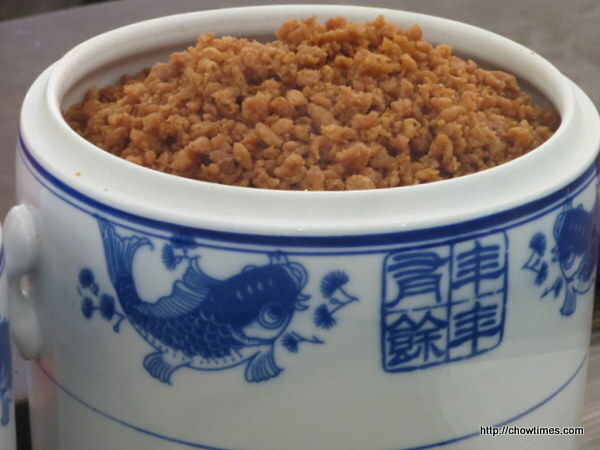 The popiah is assembled in plain view. 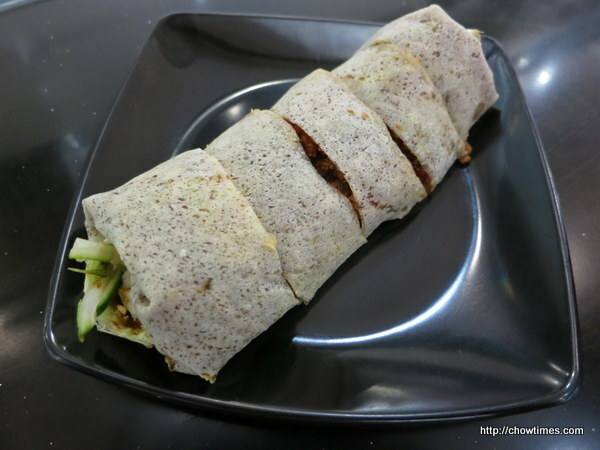 The above is the crispy bits which makes this popiah special. 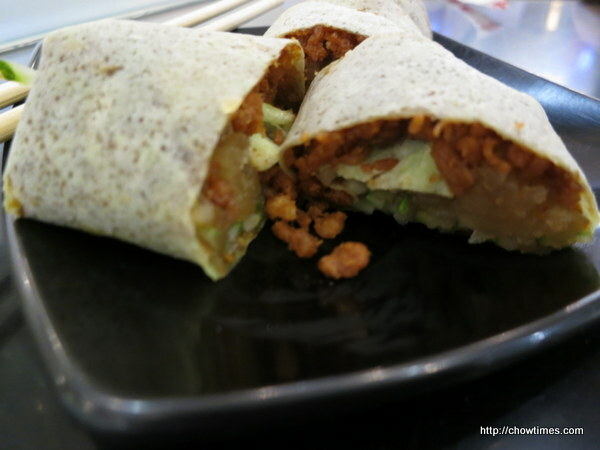 The crispy bits give the popiah a crunchy texture. I enjoyed it. The popiah is about CAD1.15.